Being inhibited about complaining due to fear of losing services. In addition to increased risk factors, disabled children may have communication difficulties which make it difficult to tell others what is happening to them. Adults, including professionals assessing their needs and caring for them may concentrate on the child’s special needs and overlook signs and symptoms which may suggest that the child is being maltreated. Often, signs indicating maltreatment may be attributed to the disability. Any specialist advice the professional needs. Where there is a concern for a disabled child who is already subject to a care plan, for example in receipt of short break care, those professionals assessing the concern and those who are responsible for coordinating and delivering the plan must work closely together to ensure that the child’s needs are met in a holistic way. Where child protection issues are considered in regard to a child with disabilities, there must be involvement by key professionals who know the child well, including those who have a comprehensive understanding of the child’s disability, method of communication, and any associated medical condition. The City of York Safeguarding Disabled Children Storyboard gives information about how services in York work together to safeguard them. York's Local Offer for children with special educational needs and disability. CYSCP provides online and face to face training for practitioners. 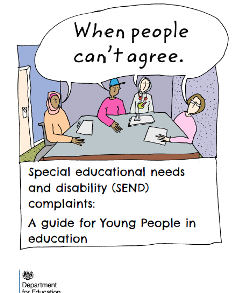 We have the Right to Be Safe Safeguarding Disabled Children - Practice Guidance Council for Disabled Children - the umbrella body for the disabled children's sector bringing together professionals, practitioners and policy-makers.